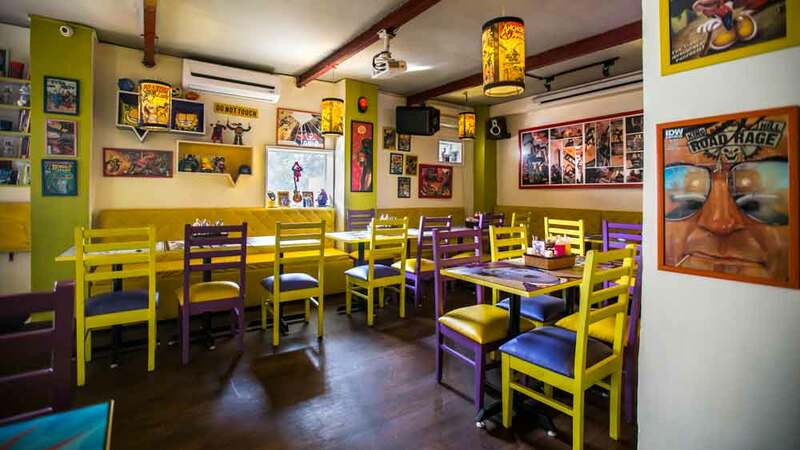 The restaurant is designed in such a way that its walls and interiors adorn comic characters of all kinds and size. The restaurant will take you through the flashback of those days where comic characters were your real heroes and never tired of mimicking them -spinning invisible wasp as Spiderman or jumping around with dad’s helmet on as Super Mario or going to war whole day long as a G.I. Joe soldier and what not. There are piles of comics and novels to read while you eat, drink, or sip a cup of coffee. With an ever increasing animated series comic library, it also brings live acoustic musical nights, screening of super blockbusters in the genre of animation, superheroes costume parties and theme based events on occasions like Halloween or Valentine’s Day and more. The food served is a mix menu of Oriental and Continental delicacies. How Model Shops Act will benefit restaurants..